At Duarte, we think of each presentation as a three-legged stool, supported by content, design, and delivery. Delivery has a huge impact on how an audience hears your message, and poor delivery can leave your presentation feeling…a little off. What you say matters; how you say it matters just as much. 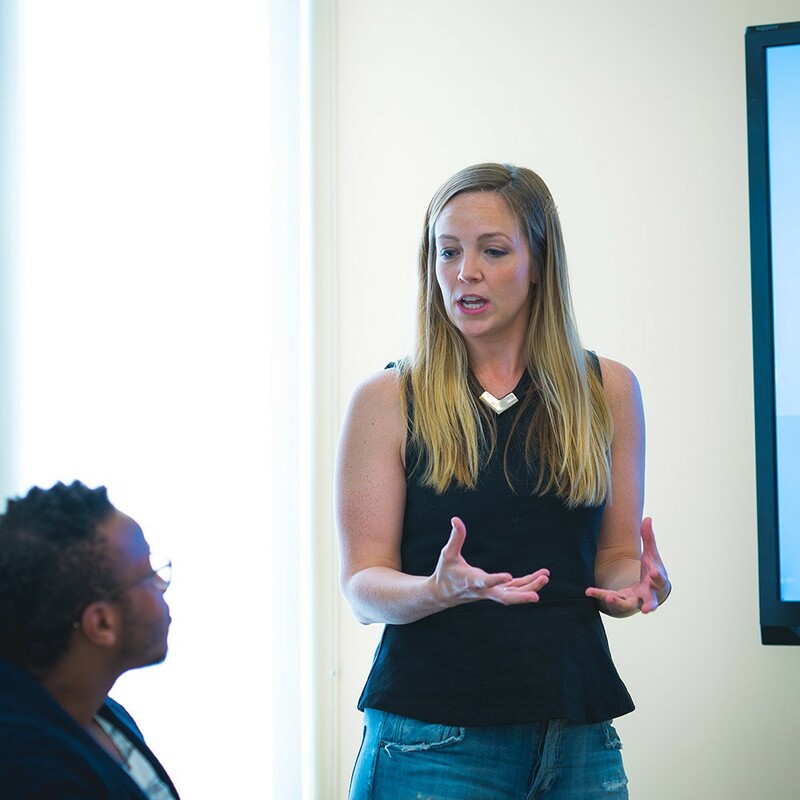 With Duarte’s Speaker Coaching offerings, you can captivate audiences, amplify your impact as a communicator, and ensure that all your presentations come to life. Duarte’s approach to speaker coaching drives clients towards a delivery style that’s comfortable, dynamic, and empathetic. Our inside-out approach to coaching addresses both outside behaviors and their underlying causes. We’ll help you discover core strengths, develop traits of the world’s most captivating speakers, and become your own unique brand of powerful presenter. For senior executives, Duarte offers custom-designed Executive Speaker Coaching services. Whether you’re practicing for a specific high-stakes event or seeking overall professional development at the C-suite level, our Executive Speaker Coaches can assess your individual needs and personalize a plan meant to meet your public speaking goals. At Duarte, we believe that effective communication is key to both your personal and professional growth. Business professionals ready to embark on a long-term journey towards transforming their communication should consider our Speaker Coaching Development Plan. Our coaching plan uses a mix of eLearning, Orai, a unique smartphone app that uses AI to help you improve, and one-on-one virtual coaching to ensure that you see significant progress over time. Do you feel like classroom learning only skims the surface? 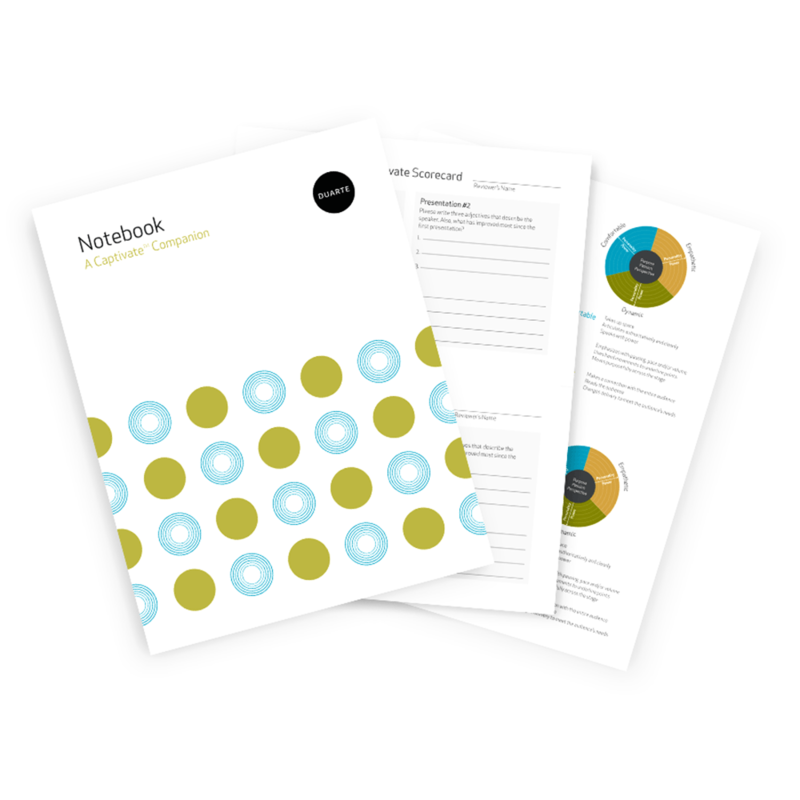 Are you eager to dive deeper into a particular learning objective? Are you interested in one-on-one time with a coach? 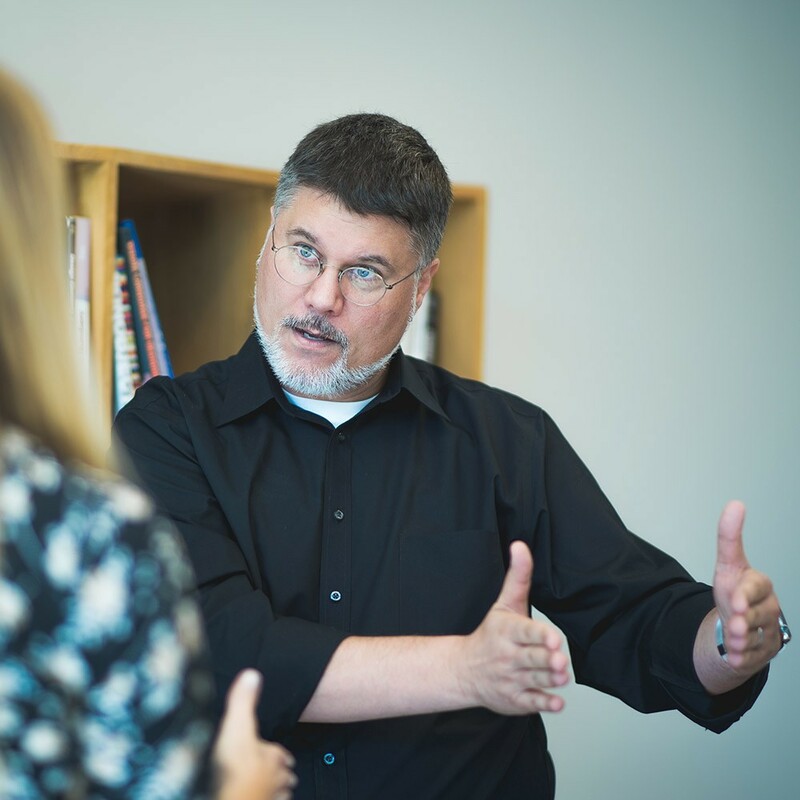 Extend your in-person Duarte workshop experience with Alumni Office Hours for Captivate. These one-on-one virtual coaching sessions are offered exclusively to graduates of Captivate, our in-person public speaking workshop. Sign up to get great presentation and communication tips straight to your inbox. Tap into your innate charisma and get confident about your delivery by finding your physical, emotional, and mental power. You’ll find your sense of purpose and passion as our speaker coaches help you become a more comfortable, empathetic, and dynamic speaker. After 40 years of experience in the energy industry, Roger Sant had a mission: solve the carbon pollution problem. And he wanted the whole country to help him do it. He came to Duarte with passion, determination, and decades of data. And after weeks of brainstorms, concepts, writing, visualizing, and speaker coaching, Roger took the stage with the kind of confidence that only comes from having a powerful team help you tell a great story. 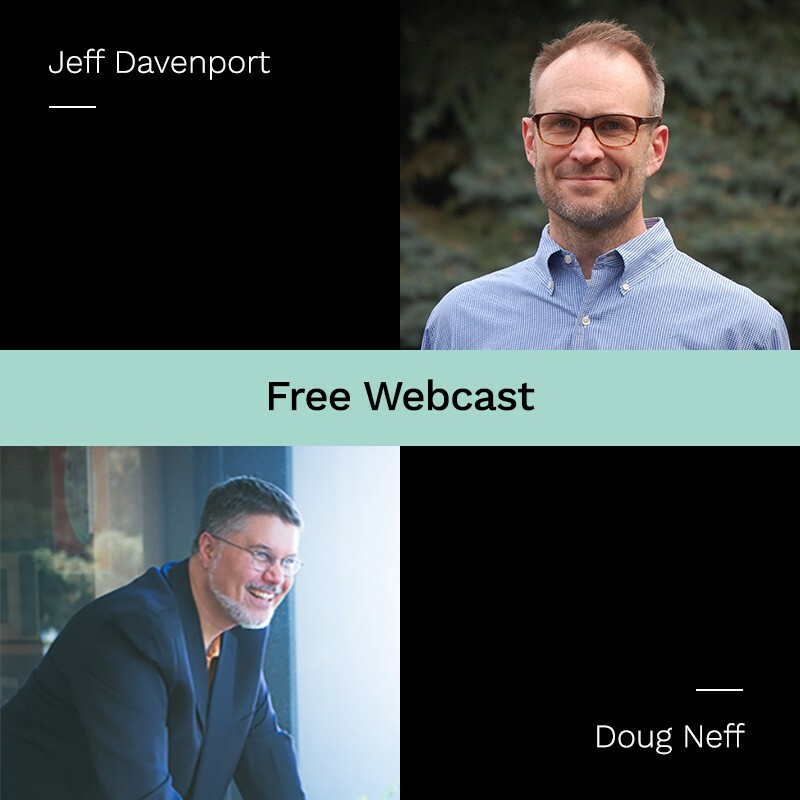 In this exclusive 45-minute webinar and Q&A, speaker coaches Doug Neff and Jeff Davenport will share a series of techniques to help you deliver comfortably, dynamically, and empathetically. Learn how to level-up your content, simply by focusing on your delivery—a week, a day, and an hour before your presentation. Are you interested in speaker coaching or learning more about any of our programs? Just shoot us a note and we’ll get right back to you.